I’m a math geek…longtime readers know that (how can we forget?). Starting with …and now to explain the “& scones”, I’ve mentioned ratios, calculated volume, and generally waxed poetic on the subject. (I come by it honestly…I started out life as an Aerospace Engineer after all). 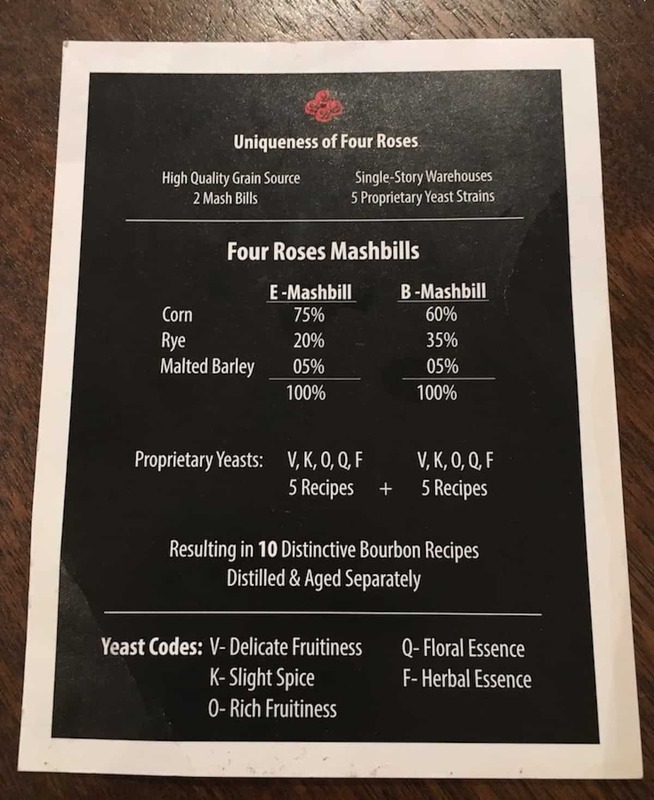 So when I was researching Four Roses bourbon for this post, imagine my delight when I discovered that math figures prominently in their products! Remember when I spoke about Ardbeg Day? I received those samples from Lauren Petka from The Baddish Group. After that review, Lauren was kind enough to send me a sample, nay a bottle*, from Four Roses. How does math fit into distilling? According to their website, the distillery combines “5 proprietary yeast strains with two separate mashbills“ to produce 10 distinct bourbon recipes “each with its own unique character, spiciness, and rich fruity flavors.” Blending those recipes gives lot of combinations with which to work! (Although please don’t ask me to calculate the total…I understood calculus, but permutations and combinations? I could never get me head around the subject). I’ve tried various Four Roses bourbon expressions several times, and reviewed it once. When I received the bottle of Four Roses Kentucky Straight Bourbon Whiskey from Lauren, rather than just review that bottling, I decided to include all the other reviews that I had collected since I started regularly attending Whisky Wednesday at Gordon’s DTX. All of those drams are Gordon’s Private Barrel bottlings, where Ken Gordon got to picked the mashbill recipe he wanted. The letters represent the production facility, mashbill, whiskey distillation, and yeast strain combinations available, all of which contribute to the final product. I’ve included the recipe “key” for each one, mainly to see how close my review comes to what Ken was aiming for. Four Roses Kentucky Straight Bourbon Whiskey…try saying that 3x fast! 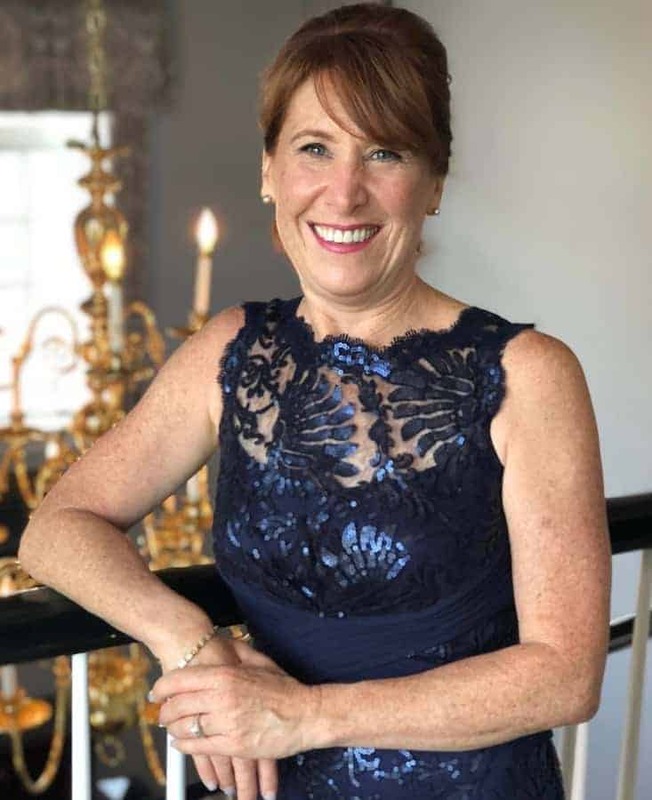 I’m so grateful to Lauren for giving me the chance to review Four Roses bourbon. I really appreciate the unique and transparent way that Four Roses has to create their various offerings…it calls to my math geek soul.I may not be able to get my head around this particular branch of statistics, but I can certainly get my hands around a bottle or two, and that’s good enough for me!